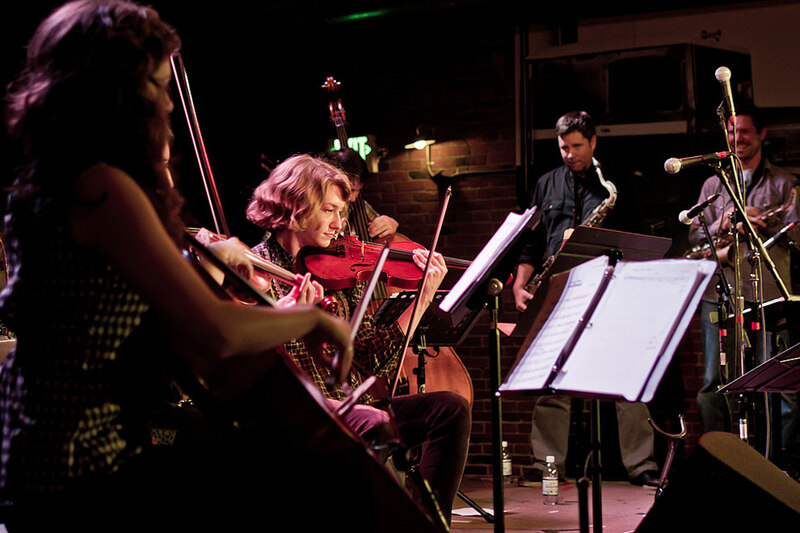 The Portland based group Blue Cranes performed with a string section at the Tractor Tavern Tuesday night in the third week of the Earshot Jazz Festival. The duo Ballrog, from Norway, opening the bill at the Tractor Tavern Tuesday night before the Blue Cranes, performed music by Eric Dolphy, Paul Bley, Ornette Coleman, and Jimmy Giuffre in a stripped-down, contemplative manner befitting the compositions they take as subject matter. 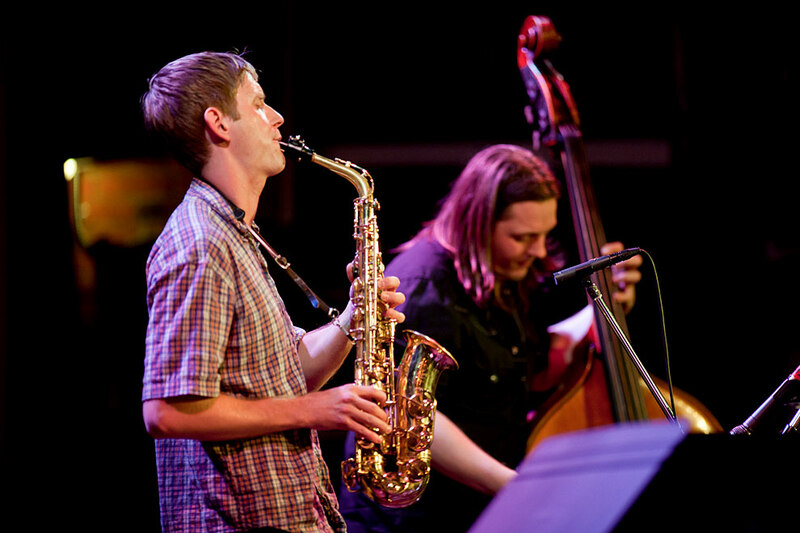 Bringing a “conception that strives for beauty without ever touching on anything lyrical, saxophonist Klaus Ellerhusen Holm and bassist Roger Arntzen create a soundscape that is atmospheric while also managing to be energetic and unpredictable. 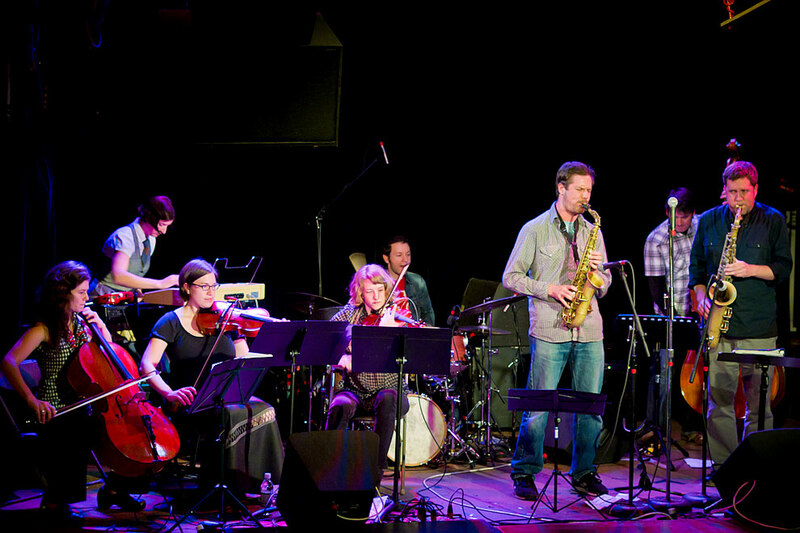 Their sophomore outing, Insomnia, finds the duo in a space even more influenced by contemporary American and European improvisatory music than their eponymous debut. 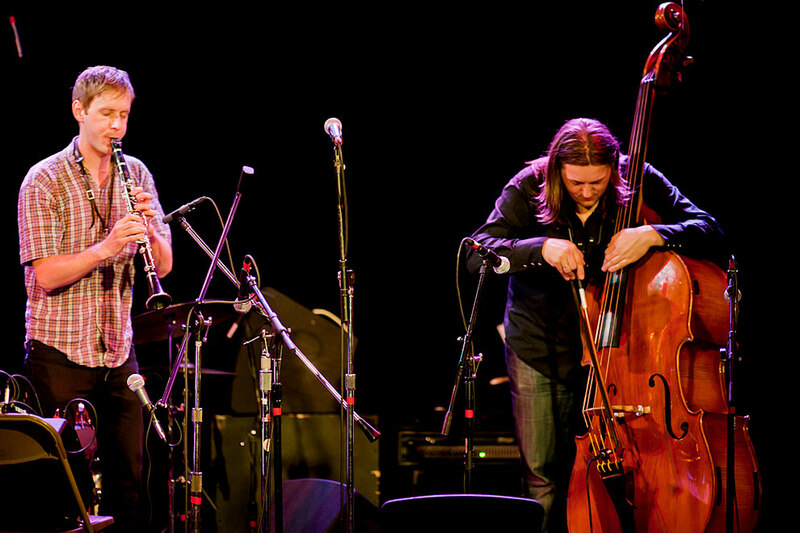 Both the young artists have garnered critical acclaim in Norway’s fertile jazz scene. Arntzen is also well-known from his playing a part in the band In The Country.